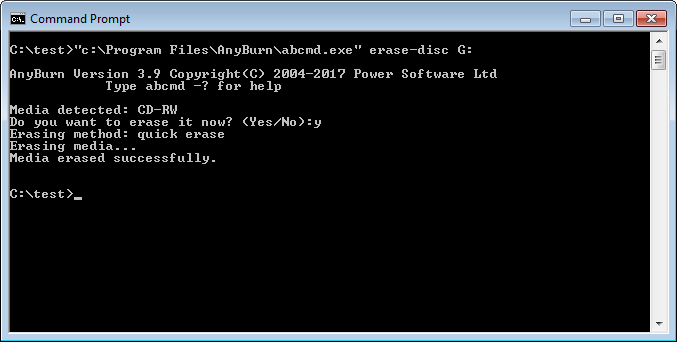 Abcmd.exe can erase re-writable disc from command line. It supports two erase methods, quick erase and full erase. If not specified, it will perform quick erase by default. -eject: Eject disc after erase. -full-erase: Perform a full erase which will take longer time to finish. Example: Erase disc in drive G, and perform a quick erase.